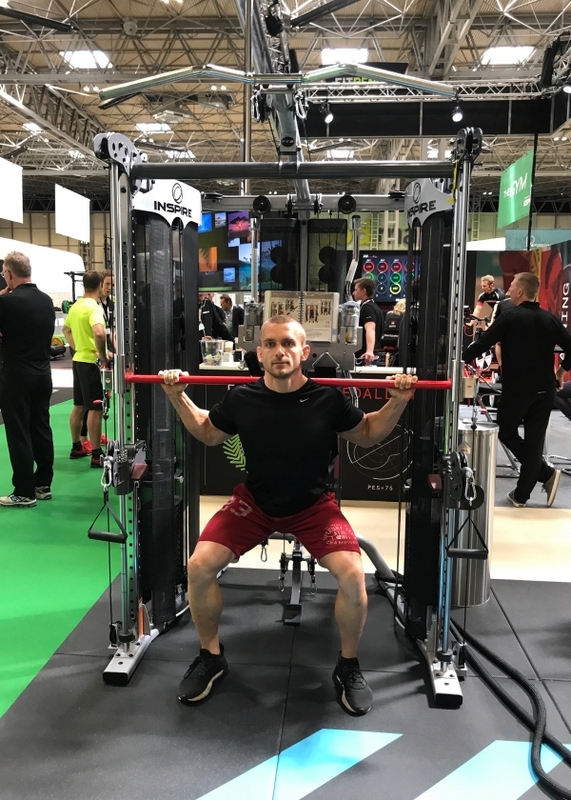 CYC champions the most exciting and inspirational equipment in the fitness industry, so it was a joy to take to Stand C100 last week to showcase our most innovative pieces. 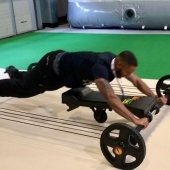 Making its debut as the latest performance treadmill, was the HiTrainer. 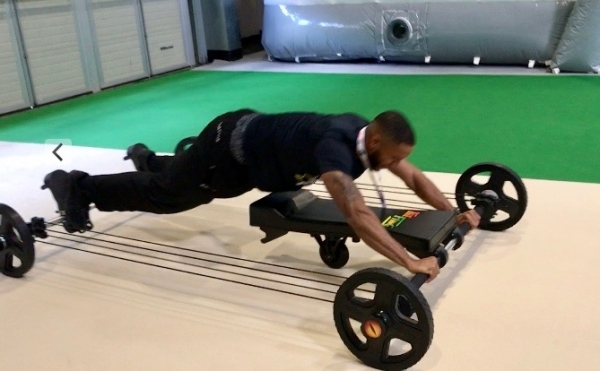 We are truly grateful to Stefan Lemieux for coming all the way from Canada to provide expert guidance for those who dared to set their pulse racing in just 30 seconds with some serious HIIT training. 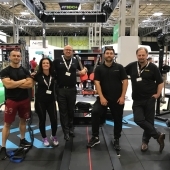 Also making its very first appearance at a UK trade show was The Frog from Frog Fitness, which brought delegates flocking to experience the full body workout. 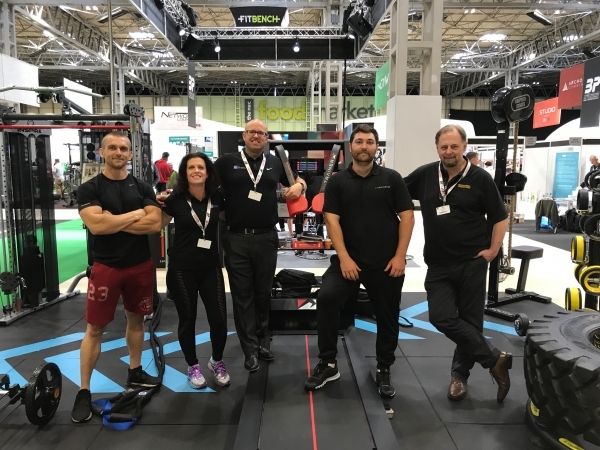 Bodybuilding athlete and owner of N-MAC gym Newtown, Gareth Burns, was on hand to help perfect The Frog technique, and give The Abs Company TireFlip180 XL a run for its money following its huge success at LIW last year. It was great to have a steady flow of volunteers for Russ Hood's one-minute Grappler Challenge, and still beaming as they reached the end. 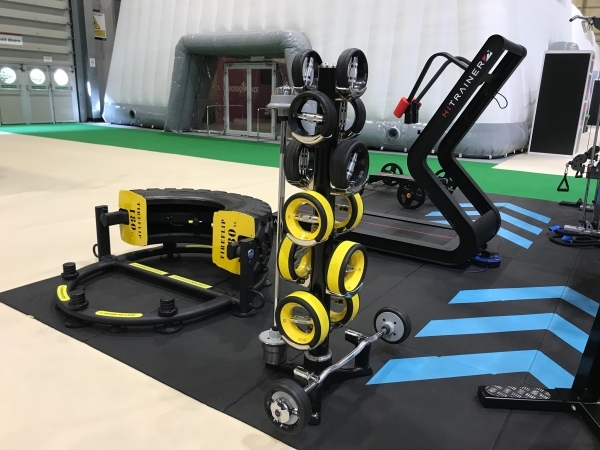 Many came to marvel at the ingenuity of the latest Training Wall accessory, Spin Wall, which is perfect for controlled inertial training. NuFit NuBells were hugely popular this year for their fabulous look and feel. 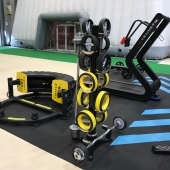 The new Vanta black range went down a storm, as did its clever space saving vertical rack. 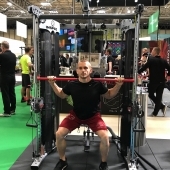 The Inspire Fitness FT2, which has reached almost iconic status, was the envy of every current and prospective home gym owner, and the fantastic functional flooring by Rephouse fitted the bill perfectly for our choice of equipment on the stand. 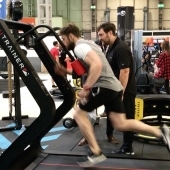 For Craig, it was a huge honour to be invited to the Body Power Business School to discuss utilisation of space and gym landscaping with some of the best in the business, including Kevin Yates of Trib3. 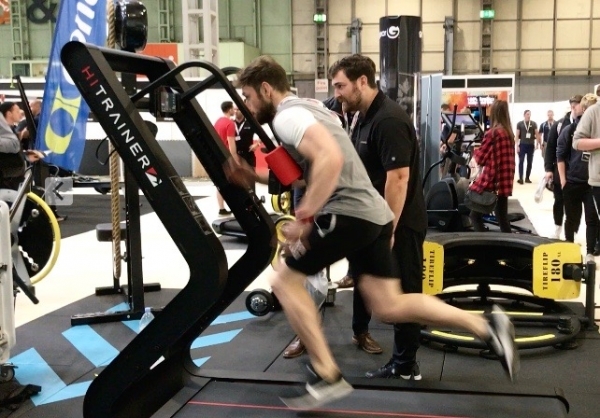 Body Power put on a superb show, which will undoubtedly become even bigger and stronger in the coming years. 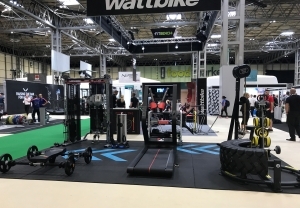 Many thanks to the organisers and all the staff at NEC Birmingham for making it a huge success, and to all those who came to Stand C100. The CYC team thoroughly enjoyed meeting you. We met some fascinating people, were inspired by the great products and superb talks and learnt so much from the whole experience. Being out there with gym owners, PTs and people with a passion for fitness is what we enjoy most. We hope to see you again next year, if not sooner!